SSS Philippines Online Helpline is an independent website that aims to make a better public service to all members and employee of the Social Security System in the Philippines and abroad. This page was put up because we know that Pinoys need it whether they are overseas working, migrating or simply visiting other countries or living here in the Philippines, our native land. Let this page serve as your eyes, ear and mouth in letting the authorities know how we feel and think about the service for a better social security to all Filipinos. Let us work together for a better Philippines and a better service to all by public servants so our country can move on and become progressive. “One people, one nation”. If you have anything you want the rightful authorities to know, say it, put your comments on our Report Abuse section above. Have a good day always. good day po need k po mkha password k para po mkloan ako..i need ur reply d k n kase mbksan hnggang ngyon 5 months n me d mkbkas tnx po..
Hi SSS Greetings! Since August 04, 2009, I had brain stroke. 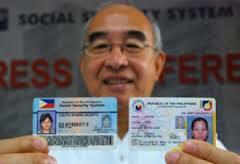 My SSS ID No. is 03-6407403-1. Because of SSS Total Disability Pension, how do I have pension every month? Check or Savings Account? Please help me. Thank you. God bless! good pm po ako po ay 58 puede pa po ba ako mag apply ng sss po? Good am. I have 2 concerns which I hope you can reply to. 1st, I tried to sign in to my account for which I have registered already. When I signed in USER ID and my password which I have registered with, a red note popped us and said I used either a wrong user id or a wrong password. However, I checked with my notation and everything was right. Then, I tried signing in again, the same thing happened. So I was impatient already and I signed in now the system told me to sign out since error might occur in the process. However, I am sorry but I don’t know how to log-out and there’s no HELP where I can access how to log-out. 2nd, I went to forms since I would like to file a loan application. I went to forms and what I got is a response Categories: forms and below indicated that there are downloadable forms but where to download there is no indicator. I am confused. Please HELP! last 1994 na recieved ko ang sss loan check ko na halagang 3.000 nagkataon din na nagsara ang aking company sa pinas mula noon di na ako nakapaghulog kasi nag abroad na ako gusto ko kasing ituloy ang aking contributions paano …pls help..
Mam, good pm, concern ko lng po ung sa CRN/SS number, ung latest po nah number(CRN) ang na type ko sa pag fil in xa member registration, pero ung sa employer ko po, nakalagay ay ung sss # po, kaya hidi po sya tumutugma..pag fil in ko po sa employer ID, hindi ngmamatch ung CRN/SS# xa employer ..hindi ko na po ma edit kc po na save na po..ask lng po aq kng anuh po ung gagawin q para makapag online aq xa sss..? Good day, I just want to ask if there is ongoing condonation program for deliquent loan borrower., Thank you wishing you can answer my query.